Very few supplements can crossover and be effective for both strength building and endurance athletes. ATP Extreme is one of those supplements. Why?…. Because it results in physiological responses that greatly impact both aerobic and anaerobic exertion. The main active ingredient in ATP Extreme is a patented form of oral ATP (Adenosine Triphosphate) that is able to survive the digestive system in tact and increase the body’s extracellular ATP pool. 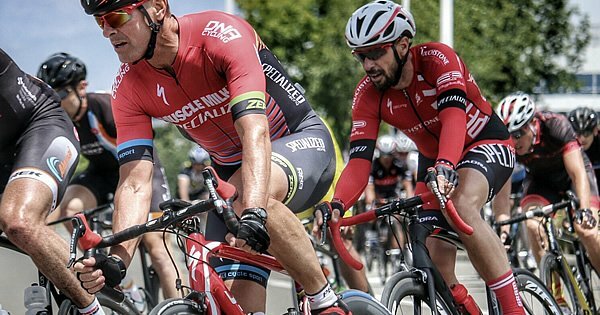 Increases in Extracellular ATP result in 2 physiological responses that are valuable to endurance athletes: Vasodilation and Increased Muscle Fiber Excitability. Vasodilation is an expansion or opening of blood vessels that results in increased blood flow, increased oxygen and nutrient delivery to the muscles, and more efficient removal of lactic acid. From a performance perspective, vasodilation will result in increased endurance, increased training capacity, improved lactic threshold, slower rate of fatigue and improved recovery as soon as you start on the product. This vasodilation effect lasts 5-6 hours after ingestion of the product and is the main reason why high level endurance athletes get such noticeable results from ATP Extreme as soon as they get on it. Muscle Fiber Excitability is a concept used to describe increased muscle fiber recruitment and improved muscle fiber contraction. Any time you recruit more muscle fibers and have faster, more intense muscle contractions, you will be stronger and more powerful. Increased Muscle Fiber Excitability is what we believe is responsible for the faster strength, power and muscle building gains realized by athletes using ATP Extreme. As an endurance athlete, increased leg strength and power can be a extremely valuable. Please note though that this benefit will typically only be noticeable for athletes who do a lot of high intensity power training. If you are not training to build strength and power, don’t expect those gains to come. One of the main reasons why there are very few supplements that are effective for both muscle building and endurance athletes is due to the side effects. Most of the effective products in the bodybuilding industry that an endurance athlete might consider using all come with side effects that are detrimental to endurance athletes – like cramping, digestive issues, and jitters.